Indie Retro News: Andy Green's early Christmas gift for the ZX Spectrum! Andy Green's early Christmas gift for the ZX Spectrum! 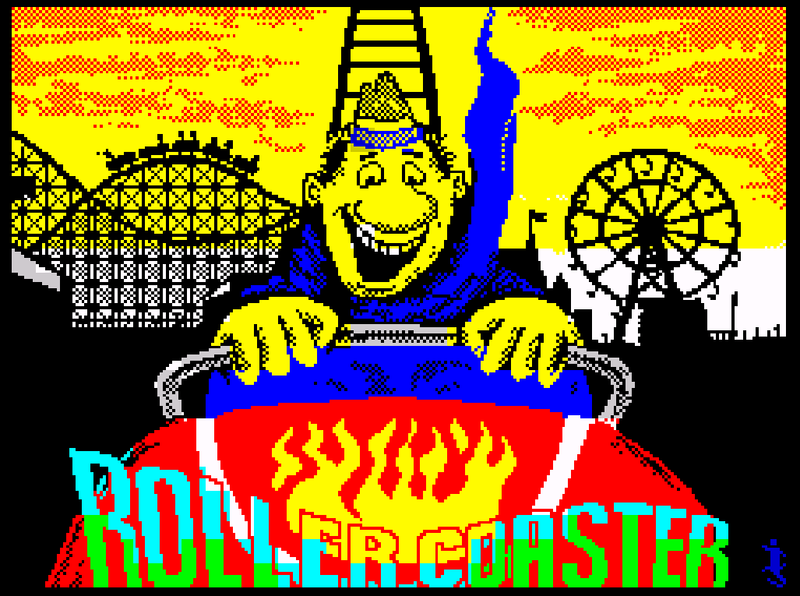 Andy Green is certainly no stranger to us or the ZX Spectrum community, as throughout all these years on this site, he has created many fantastic pieces of artwork that are used during most of the ZX Spectrum games featured on Indie Retro News. Games such as The Beast Of Torrack Moor, Mike the Guitar, and Knights to name but a few. But he doesn't just do loading screens for new games, as thanks to an early Christmas gift he has released a very special gift for all ZX Spectrum owners, of which you can find out more below.. Yes indeed Andy Green has released an early Christmas present, but instead of just releasing the newest of loading screens for new games, he has made available a link to a zipped file containing 14 games, with many of his alternative loading screens integrated. Which includes classic games such as Auf Wiedersehen Pet, The Birds and the Bees, Firetrap and even the Forest of Doom! But wait there's more! As according to Andy Green there's not just new loading screens here, as he has also told us all of these have an amazing screen reveal during loading along with turbo loader and countdown, AND many of the games also included trainers which can be activated once a game has loaded. So infact not only does the game loading screen look a damn site nicer, but if you're struggling in game and it's too difficult, you can cheat too! - Cool eh? Also, a special mention for Invaders which includes 5 AY tunes AND 4 different Invaders releases (DK'Tronics, Artic, Bug-Byte and Design Design)!!! All these game files (.tzx format) have been generously put together with hard graft by Archie Robins.